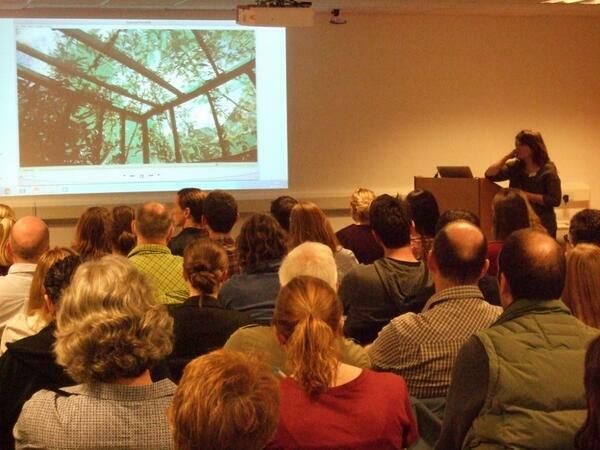 This year’s National Bat Conference, organised and run by BCT, was at Warwick University last weekend. The conference is always held in September and I always come away with a mixture of enthusiasm and regret – it’s a great opportunity to chat to other bat workers, both volunteers and consultants, and listen to some fascinating talks which really inspire you… but it is held just as the main bat season is drawing to an end and there is little time left to go out and carry out the surveys which the conference inspires! I have certainly come away with a few ideas for next spring. Several of the talks this year could be grouped broadly into the ‘state of bats’ category. This included the opening talk by Julia Hanmer, the chief executive of BCT, who outlined the work which BCT have undertaken in the last year with a special focus on the work being done to help churches with bats find solutions which allow both to coexist. Lincolnshire Bat Group’s own work in Tattershall Church was held up as a particular example of how the bats could live happily alongside the congregation with input and guidance from experts and this topic was taken up and explored in more detail later in the programme by Laura Bambini who has been been working alongside church wardens and congregations to find out the ways in which bats do genuinely impact upon the running of a church, and what information and support can be provided to alleviate these concerns. This positive work was set sadly against a backdrop of the general anti-environmental ethos of the current government, with Owen Patterson’s name being rightly greeted with boo’s and hisses by a conservation-minded conference congregation. The fact that the Chief Constable who leads on Wildlife Crime is openly anti-bats was another shocking revelation and goes to show just how much prejudice we need to work against. Pete Charleston heads up the BCT investigations unit and took the stand for the next talk. 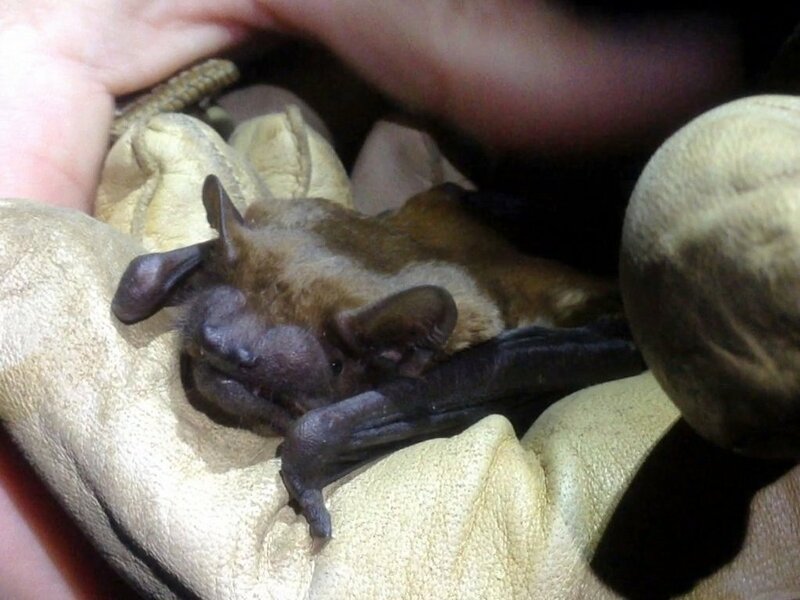 BCT and Pete in particular are doing great work to combat wildlife crime relating to bats, with regular increases in numbers of referrals and numbers of prosecutions. We are sadly let down at present however by the prosecutors themselves; a recent case where a developer knowingly destroyed six bat roosts and was fined just £35 per offence is grossly disproportionate to the crime committed and serves to send out entirely the wrong message to those who view the protection of our native wildlife as an impediment to their own economic gains – a mantra perpetuated by George Osborne in his recent attacks on protected species legislation. Leaving politics aside, and on a much more positive note, Lisa Worledge and Helen Miller gave a talk later in the morning on the current research on Pseudogymnoascus destructans in Britain and Europe. This is the fungus responsible for the deaths of huge numbers of bats in hibernation roosts in the USA and there is a fear that the pathogen could cause similar destruction to our native species. 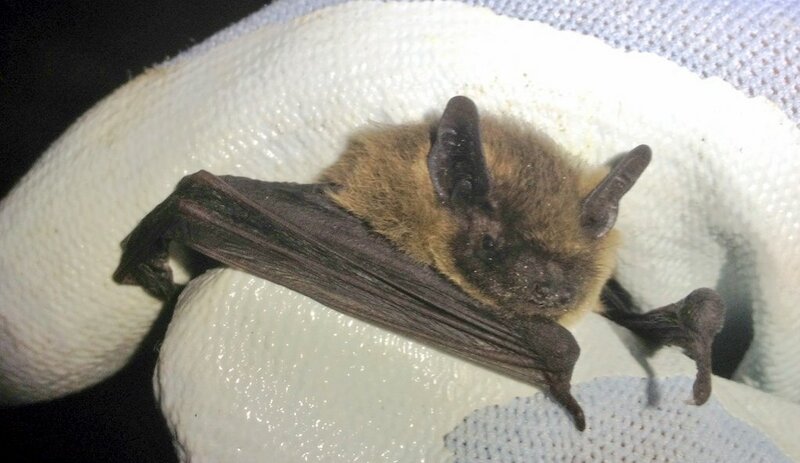 The talk concluded that there was cause for cautious optimism that the bats in the UK had in fact co-evolved alongside this fungus and were therefore relatively unaffected by it. The basis for this is the identification of the fungus in environmental samples from across Europe and in the majority of hibernation sites surveyed in the south of England in a recent pilot study, as well as the positive identification of the fungus on a hibernating bat for the first time in the UK, yet without seeing the same devastating effects which are associated with the fungus in the US. The genetic diversity observed in the fungus across Europe suggests that the pathogen has been present and has developed into differing genetic strains across its range, whilst the homogeneity of the fungus genome in the USA suggests a much more recent introduction. The fact that this fungus appears to be novel in the USA would explain why the bats there are being so badly affected in the same way as a new flu strain can strike down half the country. The risk of the disease blighting our UK populations has been cause for concern for a number of years now, and cautious optimism is certainly a better outlook! The importance of bats within an ecosystem, and the risk of losing such an important species, were highlighted in a talk by Ryszard Oleksy who has been undertaking work on the role of the Madagascar flying fox on forest regeneration in Madagascar. This is a large fruit-eating species, very different to our tiny insectivorous UK species, but the importance of the genera on an ecosystem scale is likely to be similar. The study found that 110 plant species are included within the diet, that seeds which have passed through the digestive system germinate well and that the distance which an individual bat can disperse seeds is significant. The species makes a very effective agent of forest regeneration, linking up isolated forest patches in a fragmented landscape and assisting in the dispersal of a number of endemic plant species. One issue which is well known to most bat workers now is the risk which breathable roofing membranes (BRM’s) pose to bats roosting within buildings. Bats can easily become entangled in many of these membranes and there are reports of over 100 bats being killed by becoming trapped and dying of dehydration or exhaustion, and yet they are put into new roofs on an almost routine basis, including roofs where known roosts may be present. Stacey Waring gave an excellent talk on her research into this issue, combining a more abstract lab-based tests of the extent to which different membranes on the market become ‘fluffy’ and as such, of risk to bats; with tests of how the membranes performed with captive bats within a rescue centre. All of the membranes tested were found to pose a risk, compared with traditional bitchumen felt, although there is hope that the findings of this study may feed into the design process and more bat-friendly materials may become available in the future. Geoff Billingham gave a talk on Wolvercote Tunnel in Oxford, outlining the results of a range of surveys and a concept of mitigation designed to ‘flush out’ bats from the tunnel in advance of an oncoming train to avoid them being killed. This relied upon lights being turned on in the centre of the tunnel a few moments before the arrival of a train, and then progressing out to the peripheries with the hope that bats would move ahead of the advancing light. The most concerning figure within this talk, to my mind, is the 5 dead or grounded bats identified in 21 visits to the tunnels. Trail cameras also identified an average of three visits per night from species such as foxes or cats, which would scavenge a bat carcass, making it unlikely that a dead bat would remain for a long time. This rate of killing is significant, considering that the tunnel is 130m long, the trains run at 30mph and they do not run much beyond 10:30pm. If this number of bats are killed in a single tunnel, the number which must perish across the country is highly significant and is likely to have a serious impact upon populations. It also puts into perspective the potential impact of new technologies such as wind turbines, when viewed in comparison with more established and accepted threats which may be of much greater significance. Four talks over the weekend discussed the ways in which we can increase our knowledge of the distribution of bats within the UK. Two focussed on islands – the first of these was studying the distribution of rare woodland bats, specifically Bechstein’s and barbastelle – on the Isle of Wight. Ian Davidson-Watts sampled in 42 different woodlands across the island and used mist nests and harp traps to catch bats and radio-tag them. 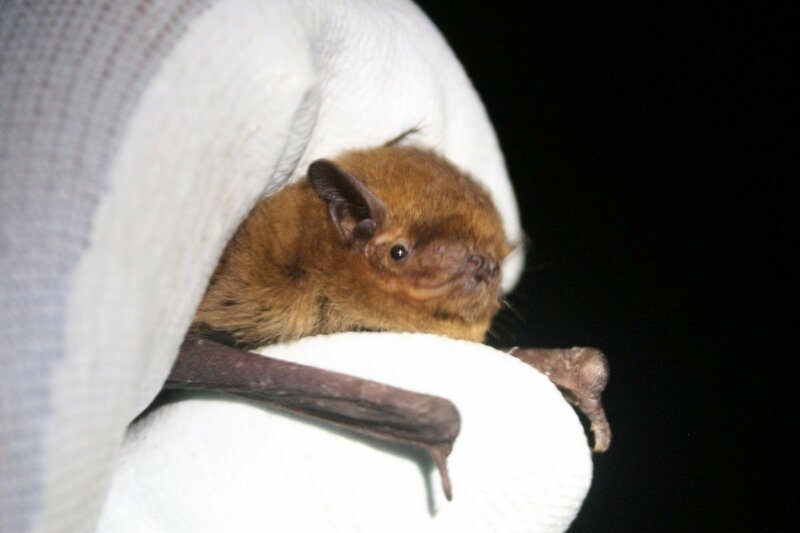 Two thirds of the woodlands were found to have Bechstein’s present – this is one of the Myotis species and one of the rarest species in the UK – and a number of maternity roosts were subsequently identified. The surveys also identified potentially the largest barbastelle roost within the UK with over 115 individuals counted out. 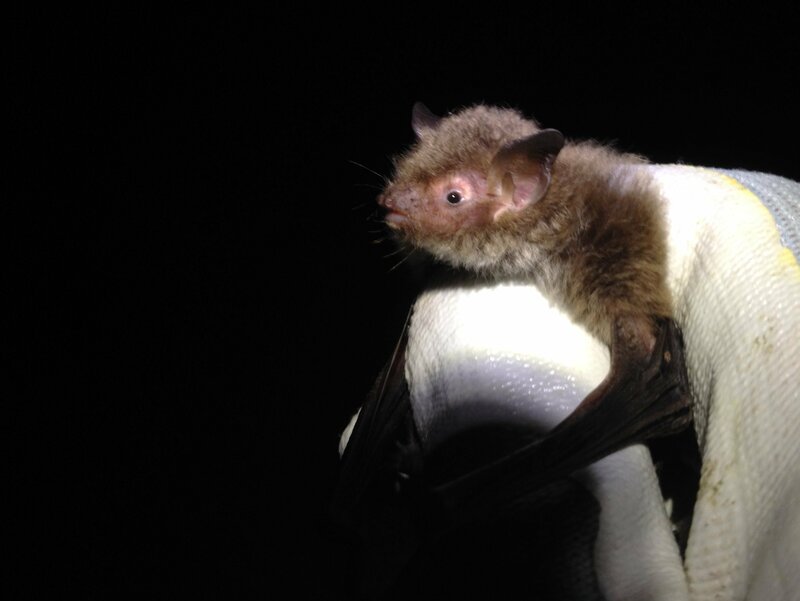 These findings make the Isle of Wight of potentially international significance for rare woodland bats at a landscape level. Moving to the opposite end of England, Hugh Watson discussed static detector surveys on three islands off the Northumberland Coast to identify the species present. This is an under-recorded area and a total of five species were recorded on the islands with evidence of bats commuting to forage from the mainland. Two further talks discussed mass-participation bat surveys where a large number of the general public were encouraged to get involved, to learn more about bats and to extend the coverage of bat records within a county. The Norfolk Bat Survey set up a number of ‘Bat Monitoring Centres’ across the county so that everybody was within 15-20 miles of a station. The public could sign up for the survey and then pick up a static detector which would be put out at a number of locations within a 1km square and left to record the bats which went past. 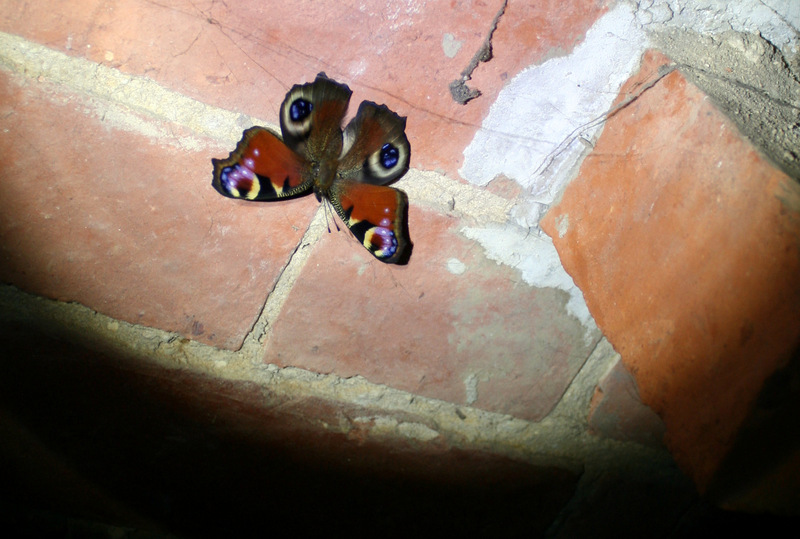 This has enabled bat records to be obtained for a large area of the county, and allowed interested individuals to find out which species fly through their gardens and their local landscape when darkness falls. 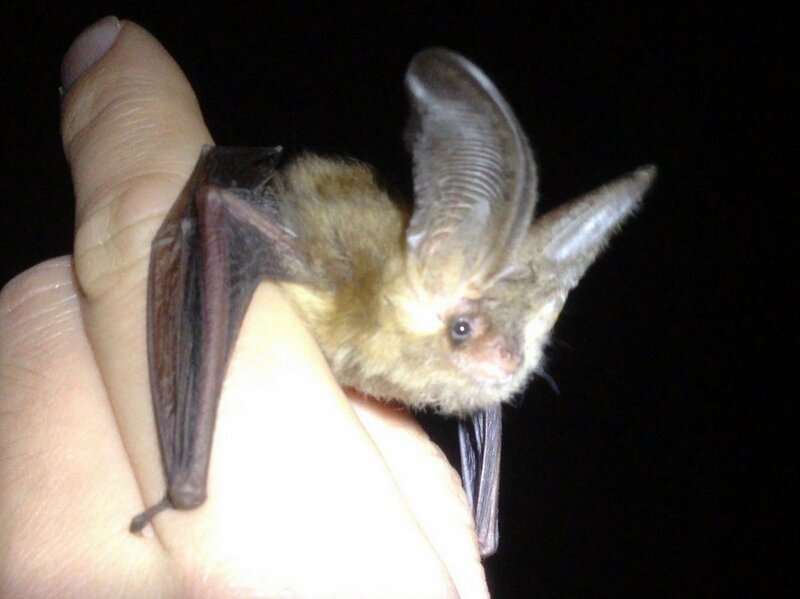 The Somerset Bat Group by contrast have designed their Big Bat Survey – a number of transects across landscapes within the county, including the Blackdown Hills and the Mendips, where a group of at least four people would be equipped with bat detectors and would walk the set routes to find out which species were present. Fifty and seventy members of the public took part in the respective surveys, and the results were again invaluable in increasing the knowledge of both the distribution of species within each area and their use of the various habitats present. The last two talks focussed on technological advances in our approach to bat surveys. The first of these was a talk by John Atanbori of Lincoln University who is using computer vision techniques to automatically pick out bats from a video taken in low light levels and compute metrics such as wing beat frequency, with an aim to using this as a tool for species identification. The characteristics of bats in flight differ between species to a greater or lesser extent, as anybody who has watched the rapid wing-beats of a foraging pipistrelle alongside the broad-winged fluttering of a brown long-eared will know. 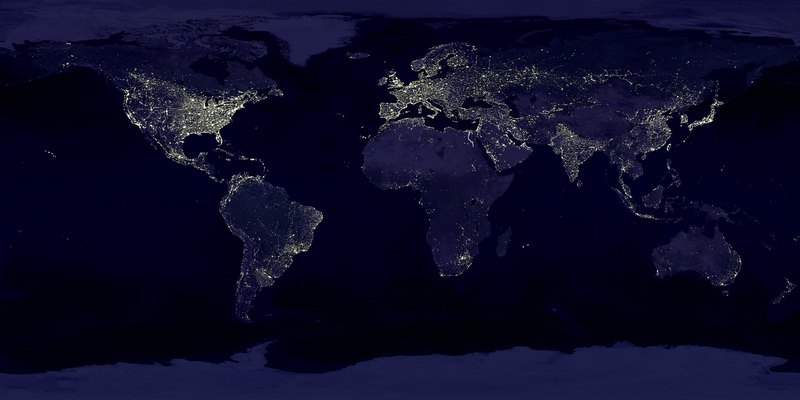 The project is a work-in-progress but offers a fascinating new avenue of species identification if it can be developed. The final talk was given by Ian Agranat of Wildlife Acoustics on their latest classifiers for UK bat calls. 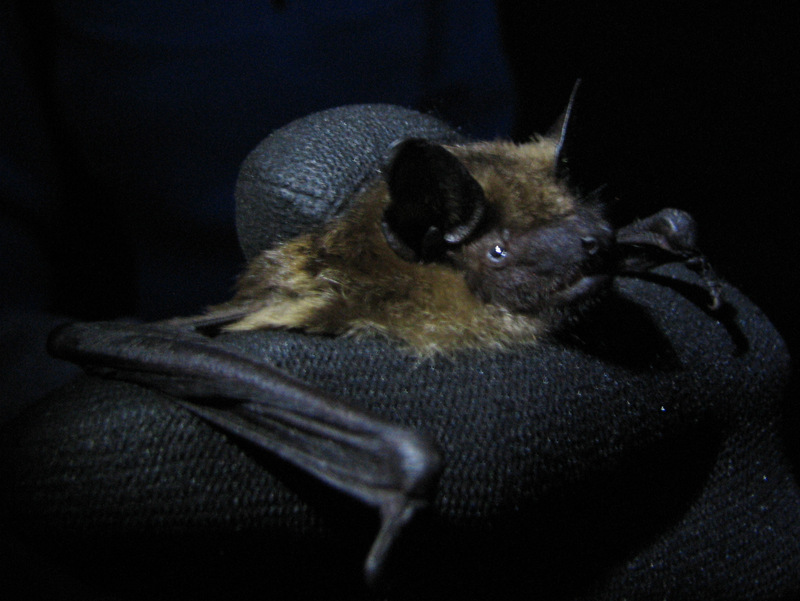 The aim of this software is to identify a bat call to species level (or genus level in the case of the myotis bats) without a bat worker needing to scan through every single call. The need for this technology is increasing as the price, availability and usefulness of static bat detectors is growing – these provide very cost effective monitoring of a site compared with human surveyors, but they do produce huge amounts of data which needs to be sifted through. The Wildlife Acoustics technology uses machine learning where a large number of identified calls are fed into the software and the algorithms identify differences which split the sound files up by their respective species. This is successful at an 80% accuracy which would significantly speed the process of analysis, whilst still at this stage requiring a certain level of operator confirmation and amendment. 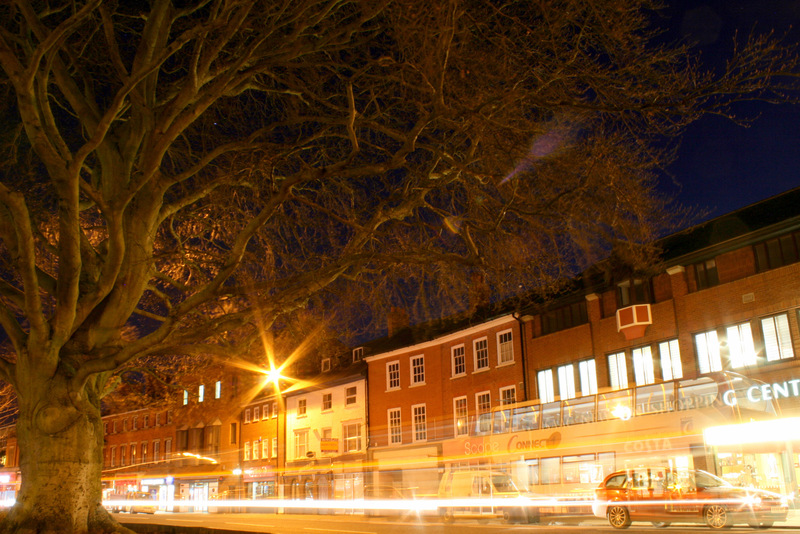 It is another exciting avenue of development and another ‘watch this space’. Workshops were wide-ranging as usual and it is always a shame that you can only pick one or two. I opted for the tree roost field survey workshop with Henry Andrews taught me a number of new things as well as re-enforcing many others with examples and photographs which were invaluable, even after a summer spent up trees and inspecting potential roost sites. In case you haven’t come across his Bat Tree Habitat Key – you can view it for free on his webpage. The key to extending and refining this already invaluable piece of work is to gather more records – calling anybody working on bats and trees to contribute! On the Sunday I opted for Jon Whitehurst’s talk on an Introduction to Species Distribution Modelling – a last minute switch but one which has me itching to try out the techniques he outlined to model bats’ use of the landscape. As I said at the outset, the only downside to the conference to my mind is that it is at the end of the season and so all of these great ideas and enthusiasm to get out there have to lie dormant through the winter until the spring when the bats come out of hibernation and the survey work can begin again. Next year’s conference is due to be held at Warwick University again and you can find out more on the BCT’s website here and the BCT blog on the conference proceedings is to be found here. There are photographs from the conference on the BCT’s facebook page here, including the customary after-dinner Ceilidh!